The WISE campaign (Women into Science and Engineering) helps girls and women to study and build careers in STEM (science, technology, engineering and manufacturing). 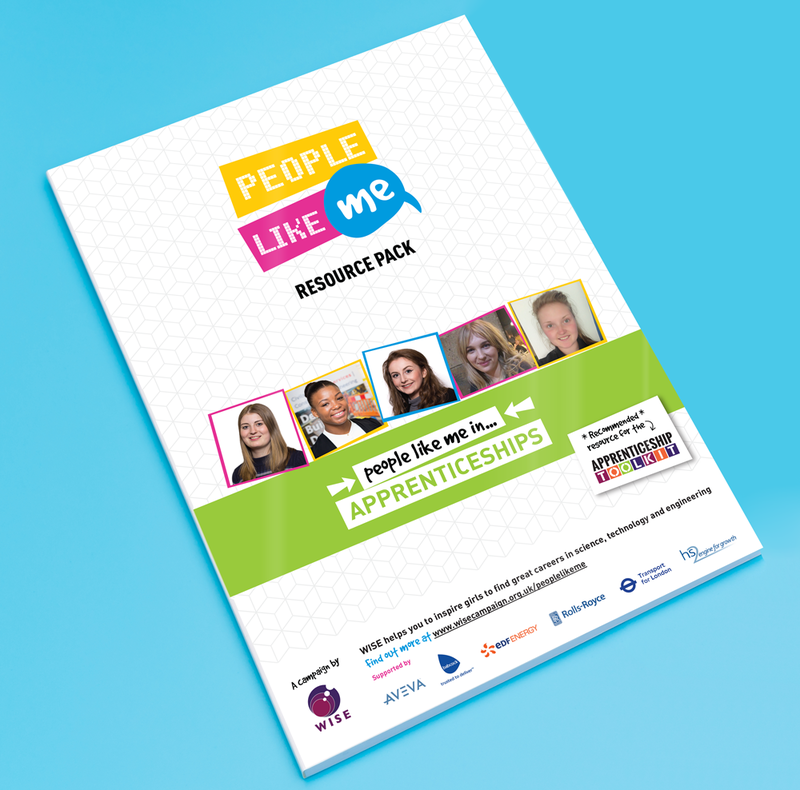 People Like Me is an exciting new campaign to get girls to think about their personal strengths and how they could open up career opportunities using science and maths. The project included the development of the logo and visual identity for the campaign, flyer, poster, postcard, Powerpoint Presentation design, and the design and layout of the teaching pack. The resource pack was launched at the 2015 British Science Festival, and to date (2017) 8 organisation and industry sector-specific packs have been developed.